Had a wonderful order - hobbit mailbox. Based on our customer's wish - it had to be a barrel-shaped mailbox, based on the hobbit-style mailbox. That mailbox had to have some kind of metal artwork - so, this is what we designed and created! As usually, hand-carved wooden mailbox, made from new boards, hand forged curved metal numbers, beautiful handle. Slightly curved flag, specially welded plastic box for its interior. Everything made from new materials. 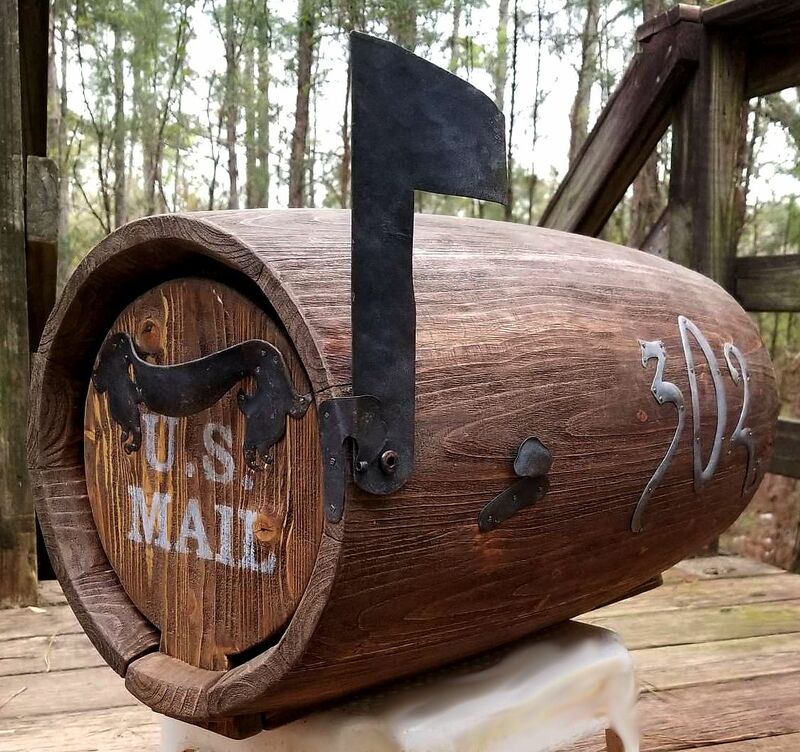 Check out pictures of this beautiful hobbit-style mailbox and you're very welcome to order a similar one! 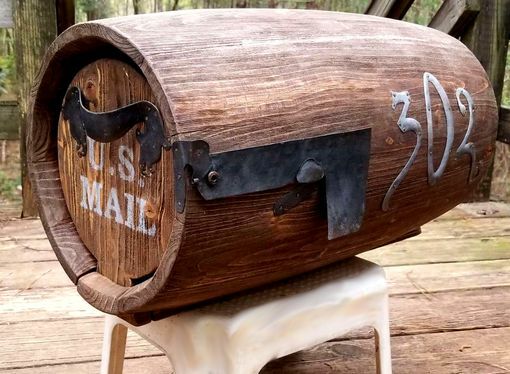 NOTE: Of course, it will be a unique mailbox. As I always mentioning - we don't make replicas. All our artwork in totally one of a kind. 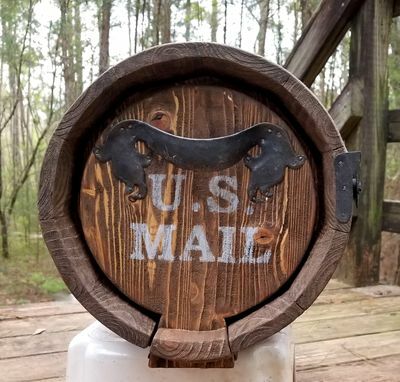 If you'll be interested in ordering a hobbit-style mailbox - we'll be glad to create it! It will have its own character, pattern, details. Also, all details will be discussed with our customers before creating! You're welcome to make an order!